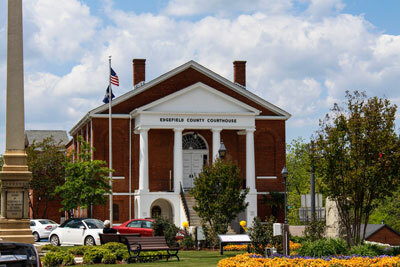 The Edgefield County Council held a special called meeting, Thursday, Apr. 23, to discuss issues at Mt. Vintage and the proposed animal shelter. The meeting opened by Council going into executive session after which they returned and voted unanimously to approve the second reading of an ordinance pertaining to the completion of roadways at Mt. Vintage. (Council unanimously approved the first reading of the ordinance by title only at their regularly scheduled April meeting.) The ordinance authorizes the execution of an agreement between the County and LL of SC, LLC that will allow for the completion of the unfinished portion of roadways, minus Calvary Run, at the subdivision. The completion of this portion of roadway is expected by the end of this year. The completion of Calvary Run is expected around the end of March 2017. After the entire project is completed, the selling of lots at the subdivision would again be allowed. The completion of the roadways is expected to raise property values, and the sale of lots is expected to help increase tax revenue for the County. Council was advised that the agreement between the County and LL of SC, LLC has not been finalized. The Advertiser was told there will be no public hearing on this matter as the law does not require one for this ordinance. Third reading for this ordinance is scheduled to be held at Council’s next regularly scheduled monthly meeting, May 5. In regards to the proposed animal shelter, Council was presented plans for the layout of the site. These preliminary plans have the entry way into the shelter coming off of the existing road that once led to the former retirement center. This will mean Simmons Road will not be used to access the facility. These early plans call for a structure that includes 12 kennels and rooms to accommodate such areas as a cat room, an isolation room, and a laundry room, to name a few. The building will be nearly 2200 square feet and will be totally surrounded by a fence. Initially, the shelter will not be open to the public as it will not be staffed fulltime; citizens will be able to call the animal control officer to make appointments. Council was advised that the cost estimate of the facility based on these plans was higher than budgeted. The engineers on this project have been asked to look for changes or cuts that can be made to decrease the cost of the project. This was presented to Council as information only and as such no action was taken in regards to this matter. As of Monday, Apr. 27, this issue had not been added to Council’s agenda for their May meeting. No word was given on when Council will take up this issue again. With no other business to discuss at this special called meeting, Council adjourned.